Do you need an overview of Copenhagen and what the different neighbourhoods have to offer? Here is a brief guide to the city you are about to explore. Hotel Østerport is located in Østerport in the northern part of Copenhagen. The neighbourhood is best known for its quaint sidewalk cafés, enticing shops, and PARKEN - Denmark's National Stadium. Nørrebro is the capital's multicultural neighbourhood always buzzing with life. Get yourself a scrumptious shawarma in Nørrebrogade or visit the Danish poet, H.C. Andersen's grave in the cemetery, Assistens Kirkegården. The fashionable Frederiksberg, with its green parks, rich culture, and diverse shopping is a very special oasis in Copenhagen, you must make sure to visit. 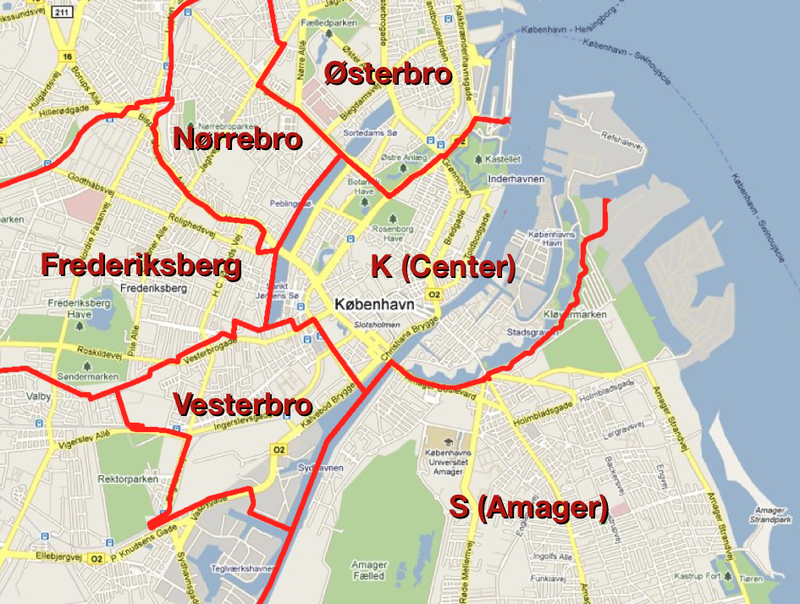 Frederiksberg is centrally located between Nørrebro and Vesterbro, but is still a municipality on its own. Vesterbro is Copenhagen’s funky little brother. Back in the days, it was notorious for being home to drug addicts and prostitutes. Today, the area is overflowing with quality gastronomy and trendy little boutiques. In the Meatpacking District you will still find the butchers working their daily shift alongside trendy restaurants, outdoor cafés, food-trucks, galleries, and shops. Downtown Copenhagen is located within the City Lakes, but also includes Christianshavn. The heart of Copenhagen offers world-class restaurants, beautiful old churches, shops of all kinds, and of course the Parliament. At Christiansborg (or usually just “Borgen”), where politicians spend their days, you can book the daily guided tour.